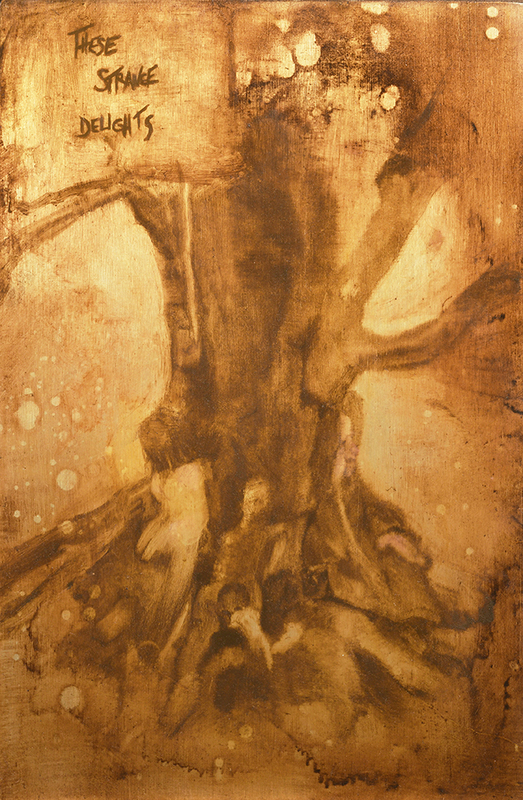 Fruit Tree, For Vincent (study) 9 x 12 in. Oil on aluminum. de Goya 24.5 x 14.5 in. Oil and gold leaf on board. Marine Way, The Sandy Memorial 22.5 x 6.5 in. Oil on found object. 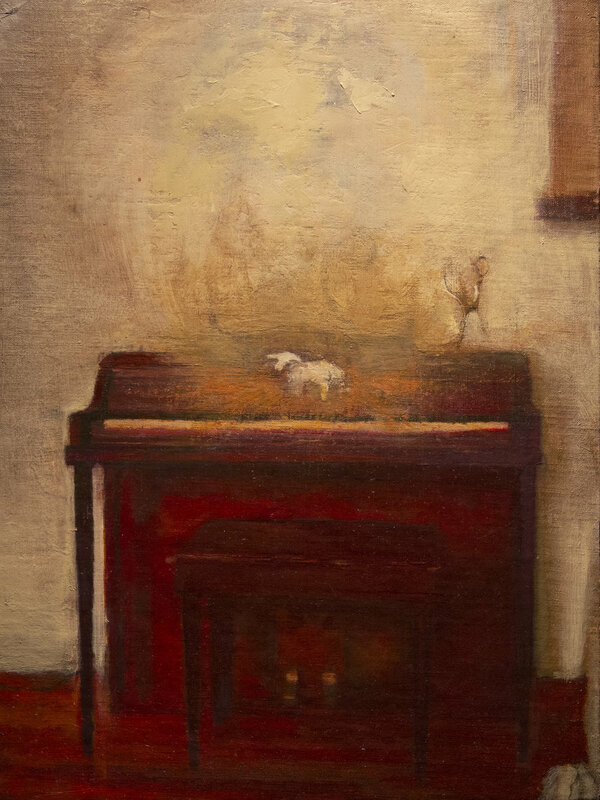 Piano, 8.75 x 11.5 in. Oil on canvas mounted to board. Overgrown (study), 6 x 8 in. Oil on board. Daphne (study) 5 x 7 in. Oil on copper mounted on board. Dinner at Robert et Louise, Paris October 2017, 5.75 x 8 in. Oil on copper mounted on board. 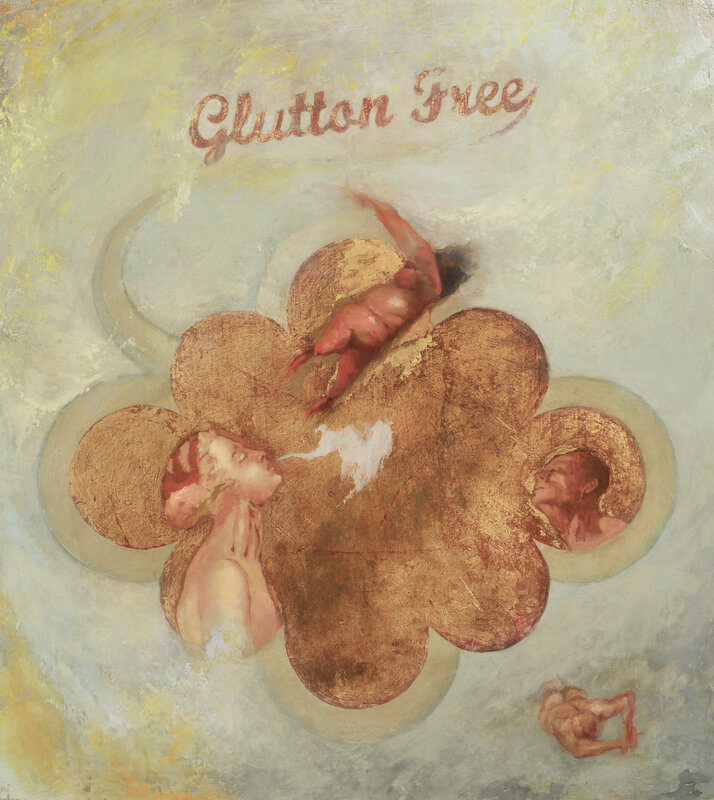 Glutton Free 18 x 20 in. Oil and gold leaf on board. Heard Every Word 20 x 16 in. Oil on panel. Obama In My Studio (Post election/Pre Inauguration), Oil on canvas. In Private Collection. Glory Box 10 x 10 in. Oil on board. In Private Collection. Nightmare of Fallujah 18 x 24 in. Oil on board, handmade found object frame. Girl Explosion (study) 6 x 12 in. Oil on board. Spring 8.75 x 11.5 in. Oil on canvas mounted to board. Vanitas (study) 9 x 12.5 in. Oil on aluminum. These Strange Delights 9 x 12 in. Oil on aluminum. Ricochet 30 x 40in. Oil and gold leaf on canvas mounted on wood. Oxtails 8 x 10 in. Oil on board. Garland, 28 x 28 in. Oil on canvas. In Private Collection. Comet (study) 6 x 12 in. Oil on board. In Private Collection. Pomegranates, 9 x 12 in. Oil on clayboard.